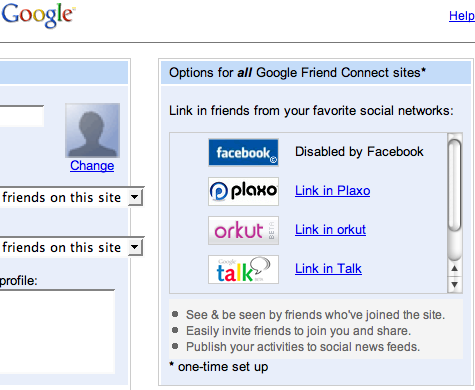 Normally, you wouldn’t list a service that isn’t a partner, but in this case Google chose to list Facebook and let users know loud and clear that they can’t connect to their friends on Facebook because the feature has been DISABLED BY FACEBOOK. This is subtle in some ways, but in others it’s as big a smack as Apple’s brilliant I’m a Mac, I’m a PC ads. Google is betting that hell hath no fury like a user denied access.